Declan is constantly hungry and one of the things he asks for a lot is bread with butter and honey. 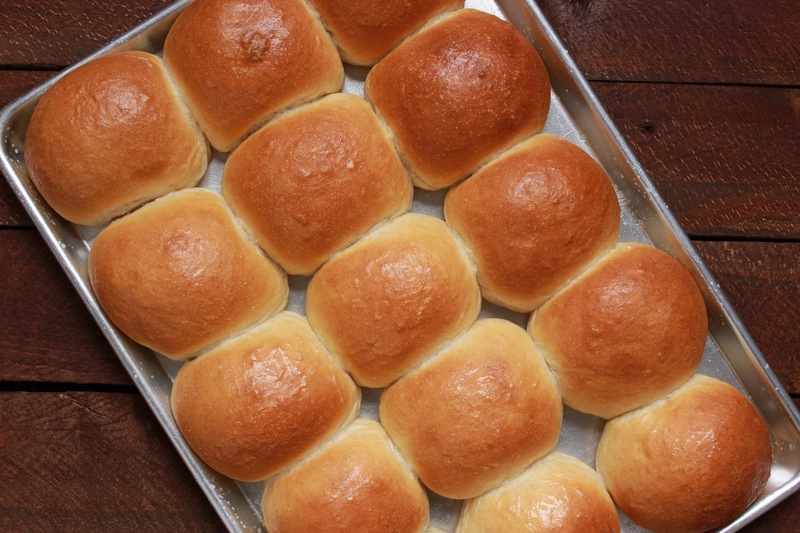 So we combined a few of our favorite bread/roll recipes and came up with these hearty dinner rolls. The poppy seeds give them a crunch and the sunflower seeds add some great texture. Breads and dinner rolls are one of my favorite things to bake so I’m often experimenting with new recipes and techniques.